High Lengths Mascara from Clinique. At first sight, High Lengths Mascara from Clinique looks perfectly ordinary. A typical phial containing 7 ml of the well-known cosmetic brand product. However, as soon as you open the phial, you notice funny brush that resembles rather a hockey stick than any other mascara applicator. Why Clinique has chosen to provide High Lengths Mascara with such an outlandish brush? Let us focus first on High Lengths Mascara manner of working. According to the producer, the mascara was designed to make eyelashes longer, strengthen these as well as to regenerate the weaken and short ones. Having this in mind, the brush has to be appropriately delicate and small enough, to be able to reach the inner and outer corners of the eyes without damaging at the same time any single eyelash. Now, it is obvious, why Clinique provided its mascara with such a brush. The applicator is slightly curved, contains small bristle placed only on one side, and is… green. However, the colour is of the least importance in here. Moreover, High Lengths Mascara was ophthalmologist tested, therefore, it is suitable for people having sensitive eyelids as well as for people who wear contact lenses. When it comes to the colour scheme of High Lengths Mascara from Clinique, it is available in two shades: black and black/brown. The second shade is especially recommended for blondes. How to apply the mascara? First and foremost, it is suggested to refresh eyelids, along with the face overall, with a toner. Secondly, while holding the brush horizontally, apply the mascara starting from lash roots and gliding it to the very tips of these. 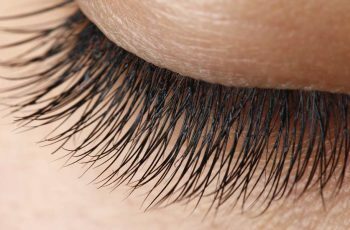 Naturally, you can coat your eyelashes with several layers of Clinique product to gain the effect of even longer and thicker eyelashes. Worth remembering, let one layer dry before you apply another coat of the mascara. Basically, pumping and string the product is not advisable because such movements may lead to air injection and, as a consequence, the cosmetic may become expired way faster than it is expected to. Another plus of High Lengths Mascara from Clinique, it is easy to be removed from the face. Suffice to use a double-action liquid or any other common make-up remover lotion. 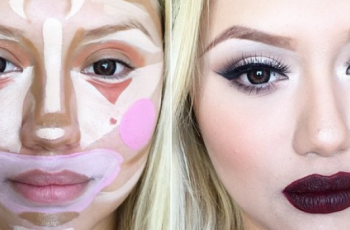 New cosmetic trend – clown contouring technique.